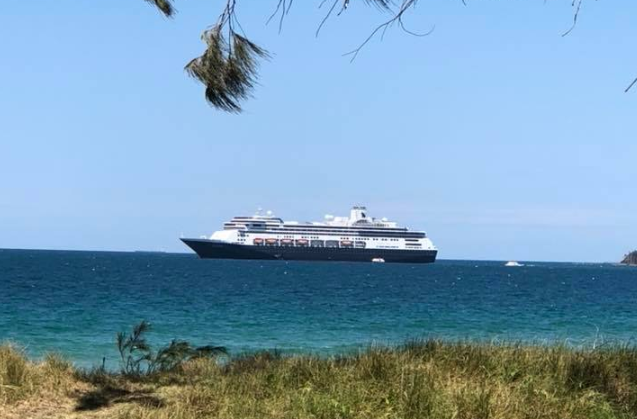 Holland America Line Cruise Ship Amsterdam off Mooloolaba Sunshine Coast. The Amsterdam as well as delivering crowds of visitors to our region is also attracting crowds of locals eager to ‘sneekApeek’. Another great Sunshine Coast Council initiative to stimulate tourism, enhance our International reputation and creativity jobs.